Dr Louise Theodosiou of the Royal College of Psychiatrists writes for PinkNews as the body sets out a new position statement on transgender healthcare. A young transgender man breaks his arm playing football, and is rushed to A&E. 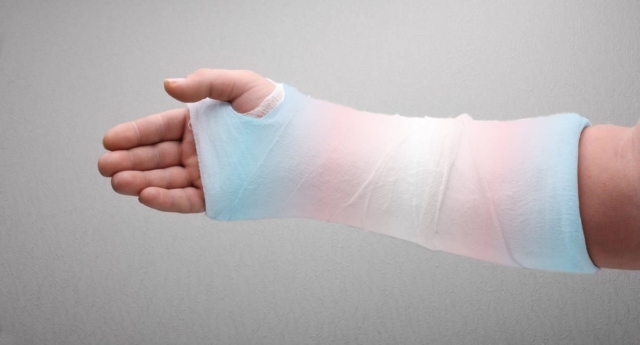 Despite experiencing one of the most common health problems to afflict young, active men like him, he is asked to discuss his trans status and hormones at length before getting down to the immediate treatment he needs for his broken arm. It’s precisely this form of transgender discrimination that has helped coin the phrase Trans Broken Arm Syndrome. In other words, the assumption that all medical issues are a result of being trans. This is precisely why the Royal College of Psychiatrists has today released a position statement acknowledging the needs of transgender patients, and calling for more training and education on working with gender-diverse people. We simply cannot ignore the fact that while transgender people are becoming more visible and accepted by society – in politics, education and on television – they are still taking their own lives in prisons, and receiving death threats in schools. It will take education and acceptance to change this. Gender diversity is not a new concept, Native Americans recognised the ‘two-spirit people’ who did not define themselves as male or female, and Virginia Wolff’s Orlando captured the complex way that gender and identity intersect. Many aspects of identity are now recognised as nuanced and not easy to fit into boxes. Similarly, there are clothes, names, cosmetics and hobbies that are now embraced by all genders. Many people remain comfortably in their gender identified at birth and would be defined as cisgender. Transgender people may seek to move to a different gender, often male to female or female to male. Some people will realise that they do not fit either male or female definitions; they may reject gender completely and define themselves as agender or seek to live in a non-binary gendered way. What is clear is that gender can be seen as a continuum and people can be supported to find the place that fits them. Doctors, including psychiatrists like myself have worked hard to develop ways of supporting people to define and manage their gender identity. Whether that be by developing and administering hormones and surgical interventions to enable people to live within their gender identity, or simply ensuring that we are using helpful terminology to describe someone’s gender needs. Training to understand transgender, and gender-diverse people now forms part of the junior doctor curriculum and the ongoing professional development of senior psychiatrists. But we need to ensure that this standard of care is upheld throughout the NHS. As mental health doctors, we are committed to improving the lives of everyone with mental illness, no matter their gender. The Royal College of Psychiatrists’ position statement out today, is our way of ensuring that Trans Broken Arm Syndrome becomes a thing of the past. Why are people living with HIV still being unlawfully discriminated against in healthcare?